When your name is Casey Holden, the Virginia Dance Company might just become your new favorite playground. But with the murder of dancer Jessica Mason to investigate, courtesy of an office visit from one Kathryn Gable, he knows he ll have to stay on point. Just back from a vacation among sandy beaches and string bikinis, Casey's broadened his attention to include athletic women and tights. Even the recent strangling and two Virginia Beach cops, both of whom want to pound him into the ground, can't keep his strong-willed focus on females at bay. What he discovers, though, is an industry more cutthroat than he imagined and suspects with more than enough motives to drop one dead dancer in the back corner of the nearest parking lot: Lusty lovers past and present, dancers young and old, an owner eager to keep her dance company in the black and more than one person who would like to feed Casey to the fishes. 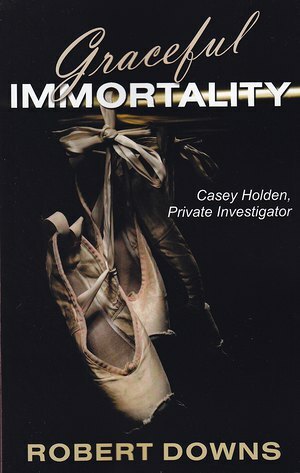 To learn who killed Jessica and why, he'll have to stay ahead of the VBPD, execute an end run around a medical examiner fond of fiddling with more than just medical records, match step for step the dance company's less than cooperative staff, and deal with an unexpected, unsolved murder from the distant past. With the help of an old friend and bar entrepreneur Casey calls Dragon Lady, an ex-girlfriend ME who fills out a white coat rather nicely, and the continued support of his pessimistic best friend, VBPD Detective Ian Jackard, Casey once again waltzes too close to the truth.